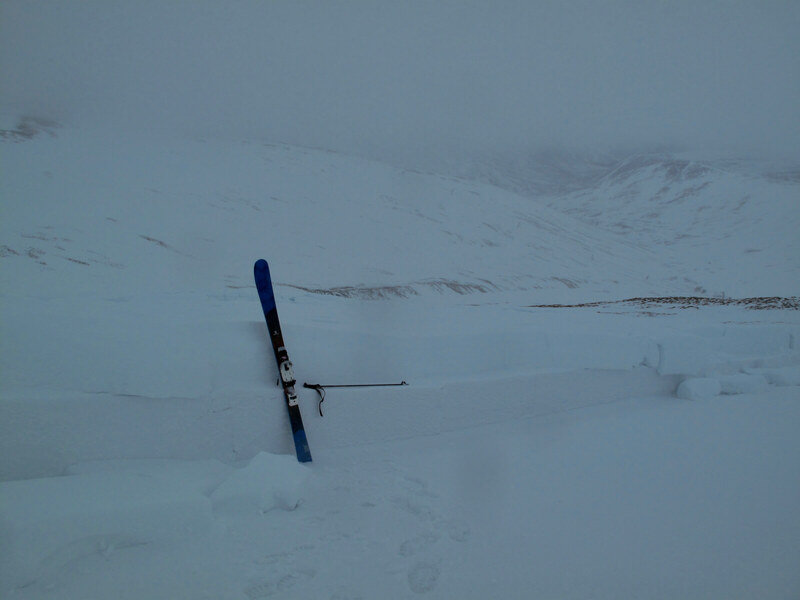 I wanted to have a look at the Garbh-choire avalanche today but after skiing half way there in the thick cloud I realised that I wasn’t going to be able to see anything so I came back to Glas Maol and went into have a look at the Coire Fionn debris site….Huge! 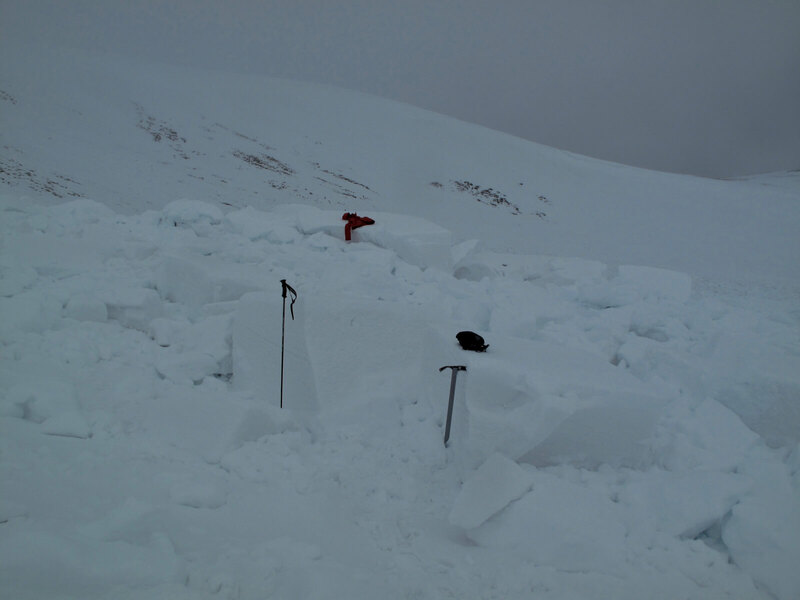 This was a very large avalanche with tons of debris – small car size blocks and a two metre plus crown wall. 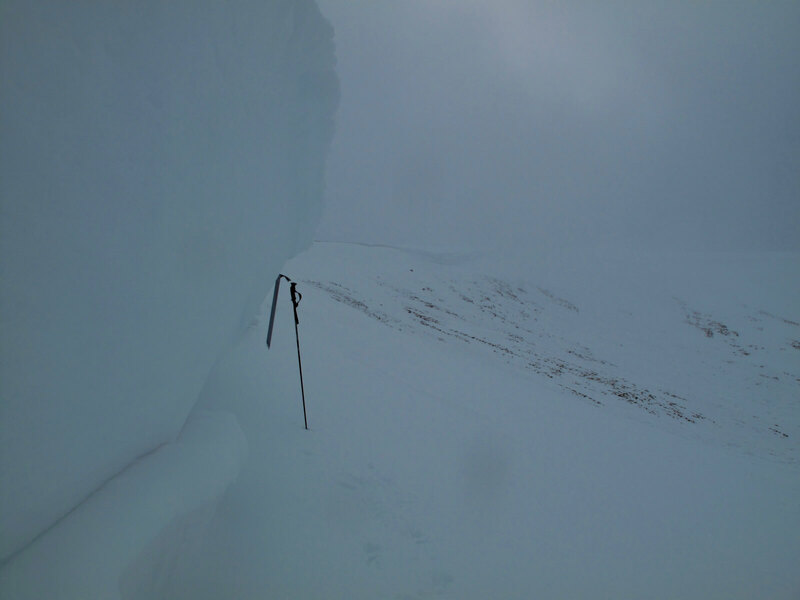 This avalanche, the Garbh-choire of Cairn of Claise avalanche and the two smaller ones that released on the West wall and black run on Glas Maol all went on Saturday night after a day of strong winds that increased significantly late afternoon and with persistent precipitation. 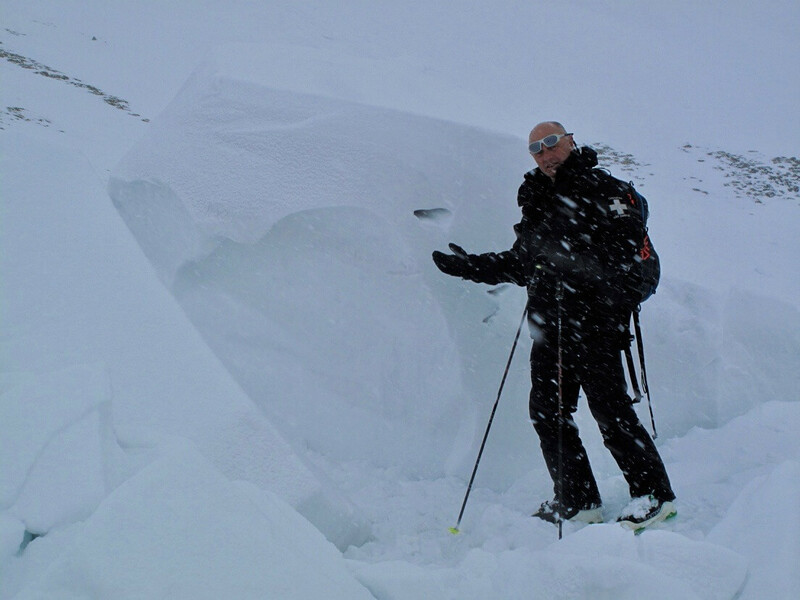 All this fresh windslab loaded onto aspects that were already marginal with poorly bonded windslab present. Apologies for the flat light photos: I waited as long as I could but the cloud never properly lifted for me. Car size blocks of debris. 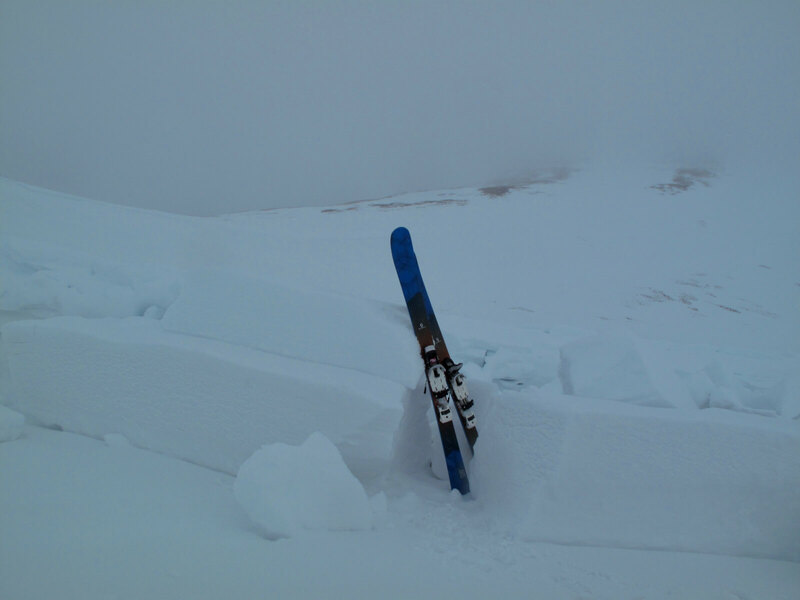 Thanks to Bill from Glenshee Ski Patrol for clambering over metres of debris to get this shot. Standing underneath the smaller section of crown wall. Blocks in background with jacket on are 3m x 3m x 1.5m. 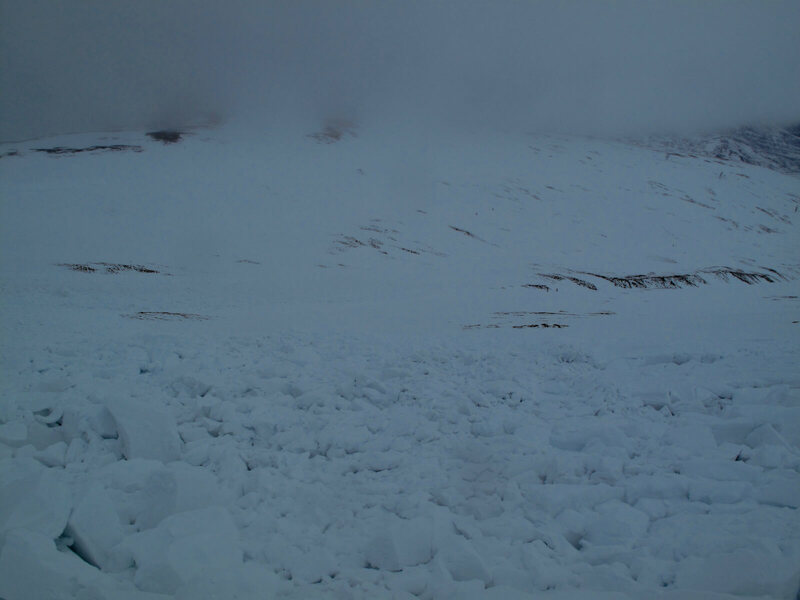 The avalanche released right the way around the corrie to within 10m of the the uplift. Huge sections of layered windslab debris. View down the smaller section of debris. 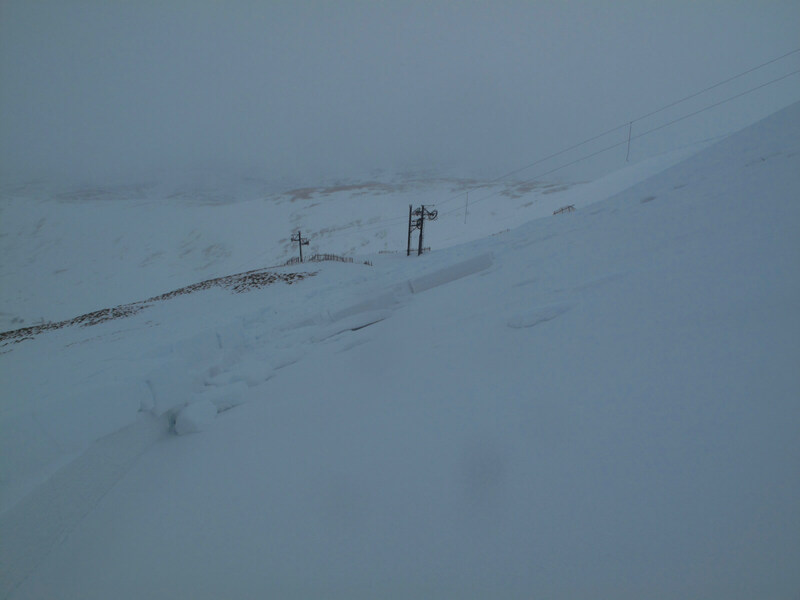 Two skiers, for scale, centre right of shot. Debris ran to near the vegetation.